Alatus, LLC is pleased to announce Vishal Dutt has joined the firm’s executive leadership team as Chief Financial Officer. Dutt comes to Alatus with more than 15 years of experience in both commercial development and real estate. Dutt brings both financial and operational expertise to Alatus having held positions at Carlson Real Estate Company, Steiner Development, Hempel, and most recently Meyer Real Estate Group where he was a senior finance manager. At Alatus he will be responsible for all financial aspects of the company, including capital and operating budgets and financial reporting and analysis. “This is an exciting time at Alatus with many exceptional projects going on. I am very grateful for the opportunity to work with Bob, who is a brilliant real estate developer in this market, and I am eager to learn from and contribute my skills and experiences to this already talented team,” stated Dutt. Headquartered in Minneapolis, Minnesota, Alatus, LLC was founded in 2005 with the goal of revitalizing communities through the planning, design and construction of transformative projects. Known for its dedication to excellence, Alatus is a leader in commercial as well as mixed-use, multi-family, and single-family residential real estate developments. The company also refreshes communities throughout the Minneapolis/St. Paul metro area with single-family home construction by MyHomeSource, LLC, which brings more than 30 years of real estate, design, and construction experience to each neighborhood. With numerous, award-winning urban and suburban developments, Alatus proudly partners with clients and communities throughout the Upper Midwest. 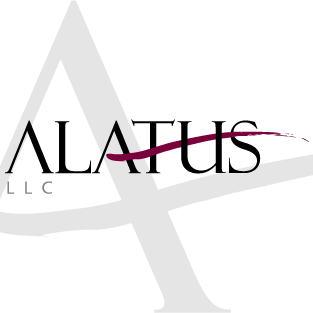 For more information, visit www.alatusllc.com.